Another of the Psalms that talks about the Psalmist asking God for help in tough times. I don’t want to repeat myself, so I’m not going to work through this Psalm bit by bit. Although I do want to say this. 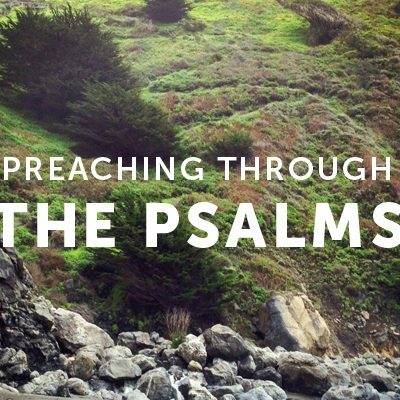 Of the 150 Psalms, 68 can be classed as ‘lament’ Psalms, where the Psalmist has words with God about how awful his life, or life in general, is. Just imagine if around half the songs we sang each Sunday were like that. The Psalms are amazing because of their honesty. And some biblical accounts started to make their way into my mind. There’s Hannah – 1 Sam 1:10-20. Hannah is devoted to God. But she is distraught because she is barren. Her weeping concerns her personal tragedy. It isn’t selfish – she isn’t even praying out loud, and Eli’s actions make it clear that praying silently was unusual. But she is deeply distressed. When Eli asks her, she doesn’t tell him; just that she is troubled. And see what Eli does? He speaks assurance over her. ‘Go in peace, and may the God of Israel grant you what you have asked of him’ – and that’s enough to dry up her tears, and help to eat again. Speak faith into people’s hearts. Assure them that God hears them. Eli promised nothing other than this: that God was listening. You can speak that peace into people’s hearts too. Then there’s Exodus 2:23-25. Intense lament: Groaning, Crying, Crying out, Groaning again. The people long for justice, and God hears that. Many times throughout their history the people have cried out under the yoke and burden of slavery. And four words from God: He heard, he remembered, he looked, he was concerned. God is passionate about justice. Are they not wonderful promises? God hears prayer; never forgets the promises he has made to his covenant people, he looks, examining every aspect of our situation, even the ones we can’t see; and he is concerned; God feels for us and with us. God is involved and affected. The injustice of the Israelites in Egypt; the horrors of slavery then and now; they matter to God. Every nation, every regime stands accountable before God. There’s Hagar in the desert – Genesis 21:17. She’s the first person in scripture to give a name to God, on the earlier occasion when Sarah mistreated her because of Ishmael. Then, she ran away into the desert and had the amazing experience of encountering God and even giving God a name: The God who sees.But this time she has been thrown out permanently. She leaves Ishmael, crying, and goes a little way off – she can’t bear to see him die – and sobs. Now God hears her weeping, sees her tears. Actually – scripture tells us that God heard her son Ishmael crying. She’s no-one; the slave of Abraham’s wife, pregnant by Abraham, and now kicked out. Not an inheritor of the promises of God, not really part of the story. She’s collateral damage. But no: God sees, he hears. Never write anyone off. We could go on. Mary, weeping outside the tomb, as she fails to find the body of Jesus. Jesus himself, looking down over Jerusalem and lamenting, wailing as he looks into the city’s future and sees its destruction in AD 70. David, weeping as the child born of his adultery sickens. The mothers of Bethlehem, weeping as their children are killed by a brutal dictator. (Matthew 2:16-18) So many more. But what amazes me in all of them is that weeping isn’t a sign of despair but of faith. Not the tired, detached, stoic acceptance of a person who believes that the universe doesn’t care, but the hot, passionate tears of a person who knows that a God who sees and hears is there seeing and hearing their personal tragedy. To shout at heaven is an act of faith. Two more. One is John 11:35. Jesus weeps at the tomb of his friend Lazarus. Why? Not, surely, because Lazarus has died. Jesus knows what he is about to do, and he is supremely confident that the Father will hear him. He delayed his visit for exactly this reason. I don’t think he weeps because of the lack of faith of those around him; he would understand that none of them would be at the place where they expected Jesus to raise Lazarus. Even Mary has enough faith to say ‘if you had been here he wouldn’t have died’ – but that’s about it. Why is he deeply moved? Why does he weep? Because of the brokenness of the world which has caused all this. He weeps for the pain that his friends feel. He weeps because of the price he will have to pay. These tears are the tears of Gethsemane. ‘We do not have a high priest who is unable to sympathise with our weaknesses’ But once again, these tears are the tears of faith. Tears that grieve for the sins of the world, but tears that believe that the Father sees and hears. When you reach a place where there is nothing more to say, no words that can express how you feel, and all you can do is weep. Remember first that Jesus wept. And remember that one day all weeping will come to an end, all the tears will be wiped away. Not one tear that will not be heard, not one person weeping who will not one day be comforted. It isn’t just death that has been defeated, but mourning, crying and pain that have their end marked out.